Many thanks to Ger for the beautiful pictures and the enthusiasm. Materials: Gold painted brass and iron. 3 waxed paper candles. 3 Bakelite sockets. 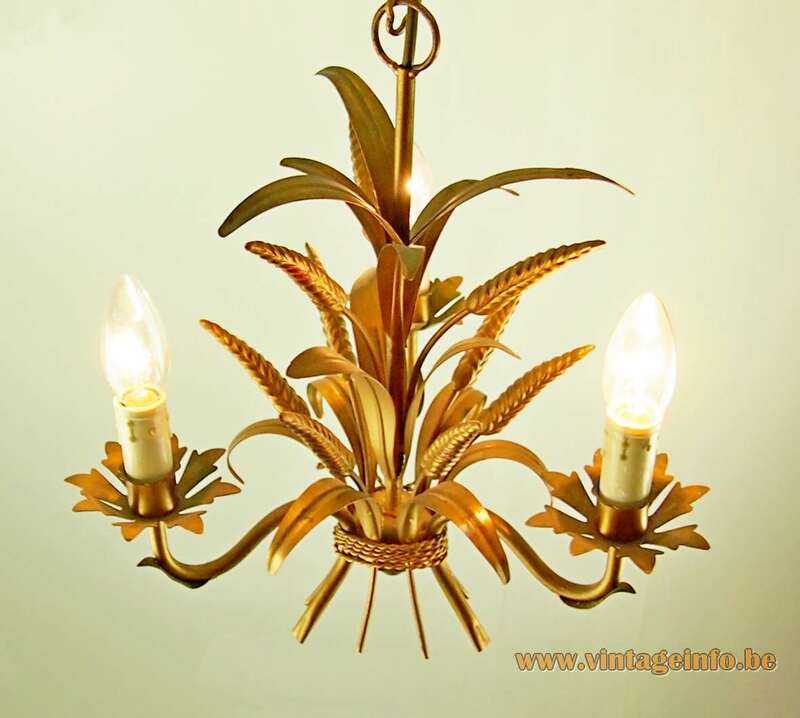 Any type of light bulb can be used, but a candelabra bulb is preferred. Manufacturer: Zicoli Leuchten Zimmermann + CO. GmbH, Heidersbacher Strasse 2, 09212 Limbach, Germany. Other versions: Made in several variations. 3, 5, 7 and more bulbs. 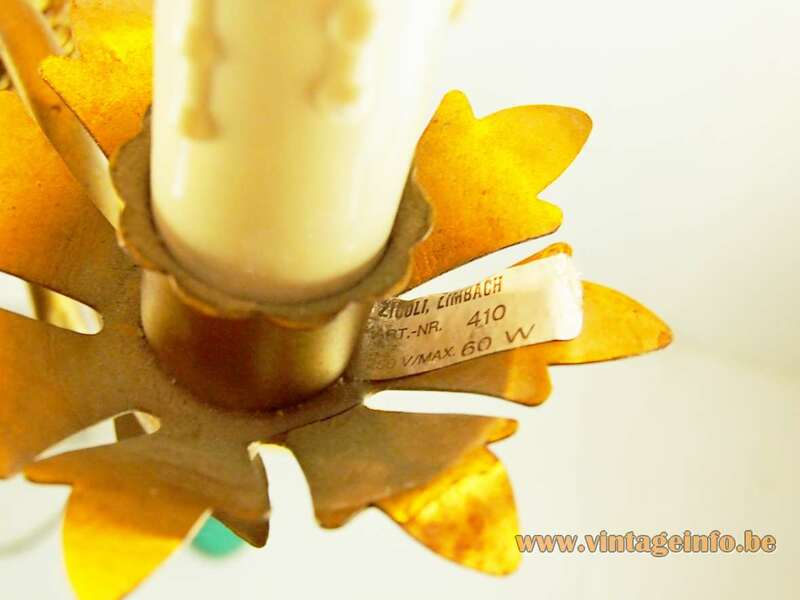 Also produced as wall lamp, floor lamp and table lamp. The Zicoli Leuchten Zimmermann + CO. GmbH was founded in 1921 in Limbach, Germany. It ended business in 2006. The website was located at Zicoli.de. 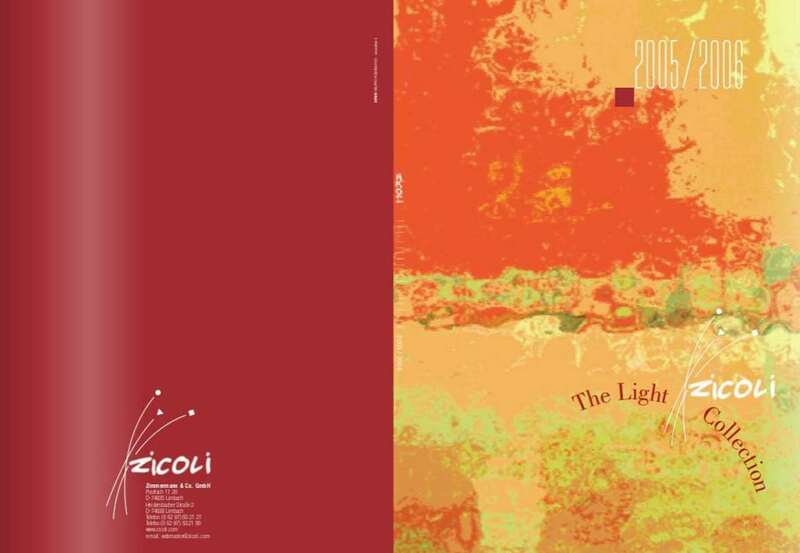 Despite the text on their website, Zicoli also sold many lamps produced by others. Almost all the lighting found online was made in the 1970s and 1980s by Massive, Hoyrup, Glashütte Limburg and several others. Later in time it is lighting produced in China by anonymous manufacturers, as many companies do. For generations people in Limbach having been working on ways of bringing us light in the dark. This experience and technical knowledge are the basis for Zicoli’s success; that small team from 1921 has in the meantime expanded to a medium-size enterprise. Development, testing, production and distribution are all carried out from one central base ( ca. 5000 m2 ). Highly qualified personnel and efficient communication among the 50 employees guarantees that our products reach the highest possible standards. The co-operation between many innovative designers has given rise to a comprehensive range of lights in a wide variety of styles. This enables our customers to choose their lighting exactly according to their taste. 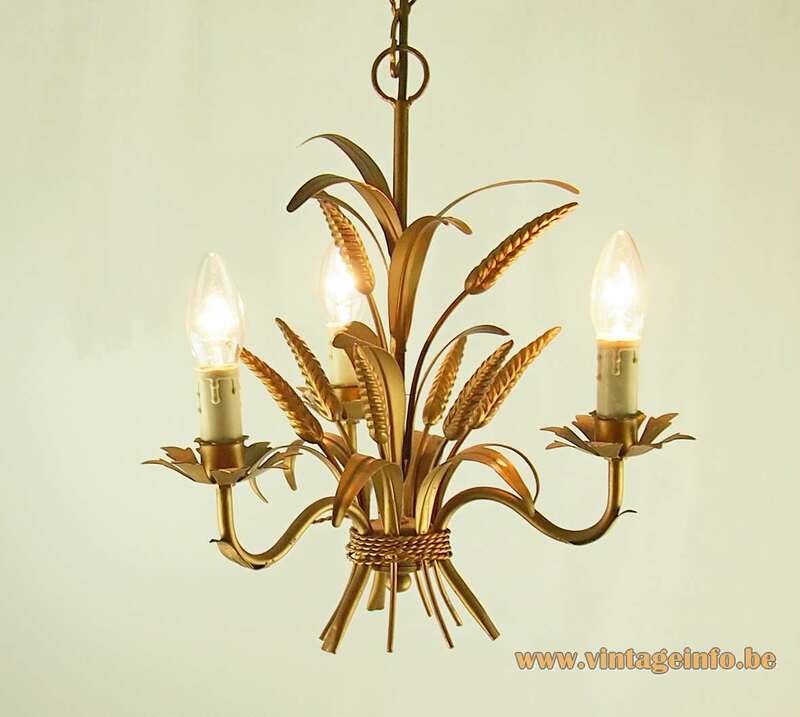 Regardless of whether you are lighting purely for aesthetic reasons or lighting working space in a more practical fashion, the combination of design and high quality gives your lighting that special finish. We are not interested in making compromises at Zicoli; Every single component we use consists of tried and tested high quality materials exclusively made in Europe, with the development and production mainly being carried out in Italy and Germany. Our employees are permanently on the move in order to seek and develop the trends which we include in our own creative product lines. 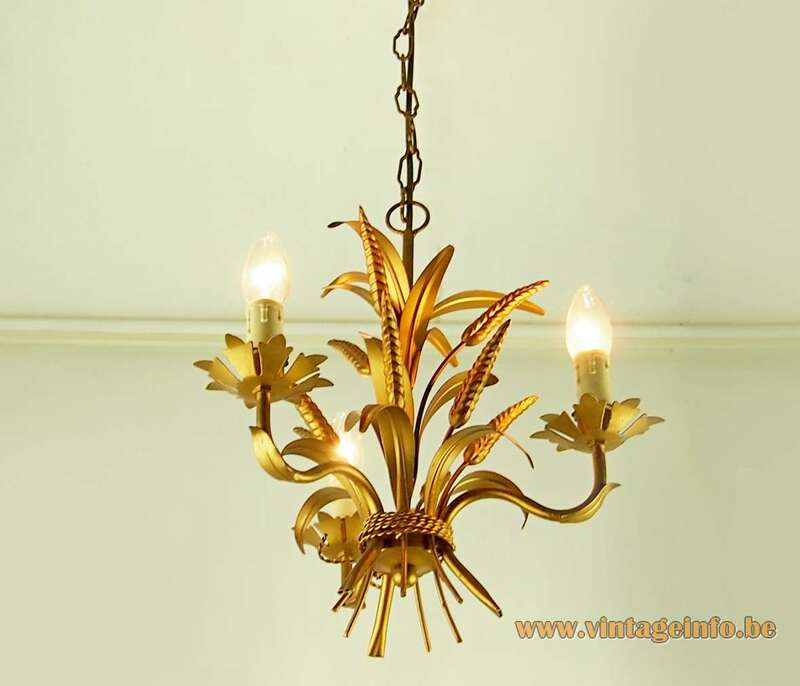 These type of chandeliers were made for a very long time by many companies. The original antiques uses real candles. Today you can find them new and also made in China. They are all gold painted or gilded. Often said that the origin is French and the name Coco Chanel is mentioned often, but it is most likely Italian. Coco Chanel had a table in this style in her apartment in Paris, France. 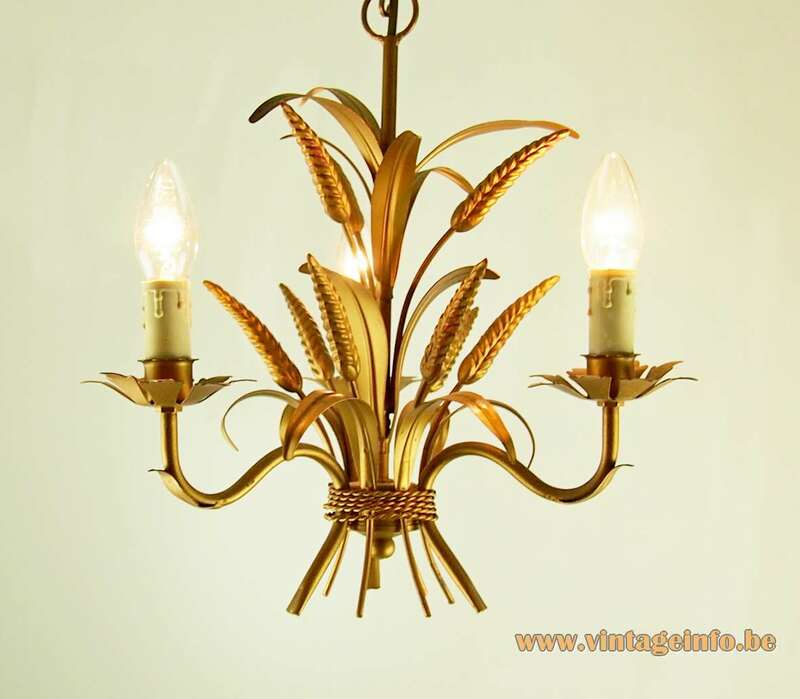 Often named “ear of corn chandeliers”, but corn is maize. 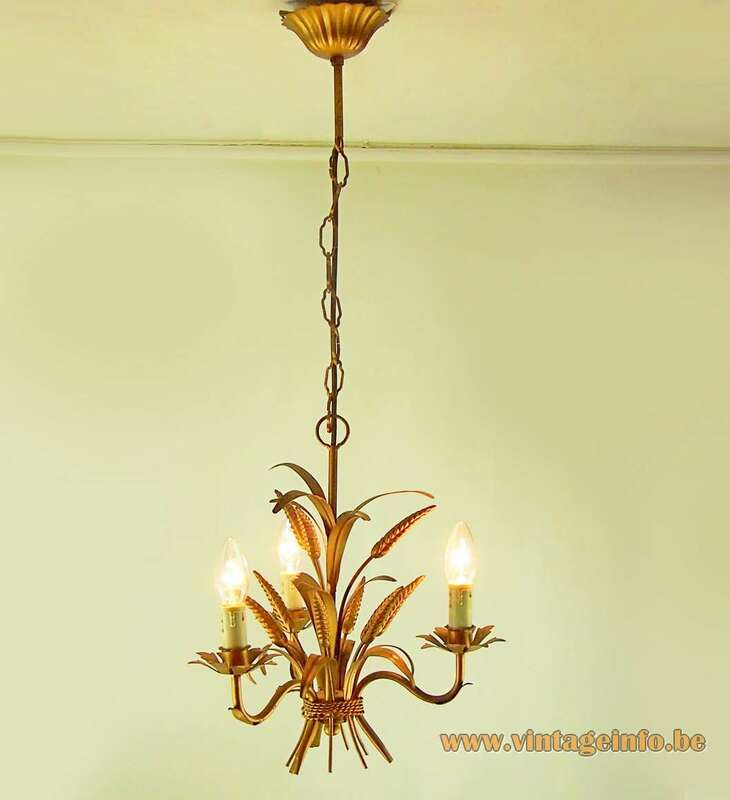 The German company Hans Kögl, founded in 1979, produces similar chandeliers with the same canopy today. Al their lamps are produced in Germany or Italy. Many of the early models are still in production. Also Massive from Belgium produced a range of similar lamps.